'Eleventh bag'. military burial fund. 'Sacred'. belonging to the emperor. 'Sacred following'. imperial field army. Camp road running along the inside of the rampart. Soldier enjoying special service conditions. mercenary. Extortion of goods or money, a common military practice. Part of the camp used to house the tribuni . Late Roman mounted imperial guard unit. Late Roman horse guard trooper. Late Roman military intelligence unit. A - soldier equipped with large shield. Soldier equipped with larger sized shield. 'Veterans'. 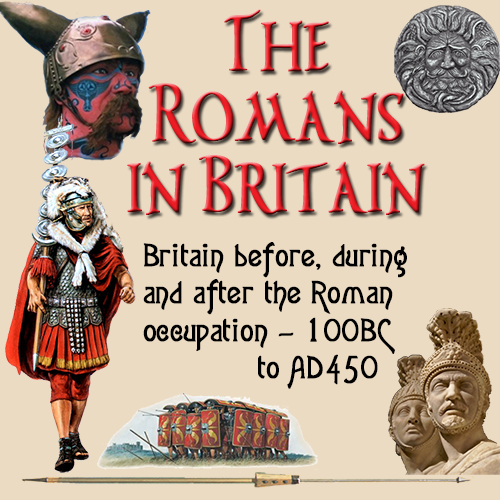 late Roman unit that detached men to create the core of a Iuniores unit. NCO on pay and a half. 'To move the standards forward'. to advance, to attack. Lead identification disc worn by recruits. Soldier that has been accepted for service. B - identification tattoo worn by soldiers. 'Allies of the Latin name'. Latin league allies. Javelin made wholly of iron. Sword. often, but by no means invariably a sword with a long blade. B - mounted legionary or praetorian serving as bodyguard and executioner. Cavalryman attached to a praetorian cohort. Greek term for cohors praetoria . unit of imperial guard. Javelin. late Roman pilum successor. The plundered weapons and equipment of a conquered enemy champion or commander. To dedicate the spolia opima brought great prestige. Samnite triple disc body armour. Acronym for S(enatus) P(opulus)Q(ue) R(omanus). the senate and people of Rome. B - tour of duty. Post of military intelligence service. 'Watch post'. police post annex fire department station. B - civilian housing soldiers. Deduction made by officer from a soldier's allowance. 'Goad'. type of defensive trap. A - regular soldier's pay. B - year of military service. B - equestrian officer post. Greek equivalent of militia . 'Supreme commander'. Greek term for consul . Commander. Greek term for praefectus castrorum . Soldier in charge of horse supply to the army. Pair of barracks housing a manipulus . 'Under the eagle'. on active duty. 'Under the standards'. in military service. 'Under the flag'. veteran duty with lighter service. POW who passed under the yoke. B - type of spear, possibly a short javelin. 'Under optio'. naval soldier subordinate to an optio . Senior administrator in charge of supply. Sacrifice of a pig, sheep and bull. Flute player. musician indicating the rowing speed on smaller war ships. A - locked shields formation. B - Greek term for testudo .